Next year, the Dark Tower movie is going to hit theaters—but a year later, it’ll have its very own companion TV show hitting the airwaves, featuring at least one of the the film’s major stars. And now we finally have some details—including the fact that the movie’s star Idris Elba will appear on the show as well. Entertainment Weekly reports that the TV series will be an adaptation of the fourth entry in King’s saga, Wizard and Glass. The show will feature a framing device where Roland, Elba’s character in the film, and Jake Chambers, a young boy with visions of the mysterious tower played in the film (and show) by Tom Taylor, flashback to Roland’s origins as a gunslinger. A new actor will play the younger Roland, and while Elba’s involvement is confirmed, Matthew McConaughey’s Man in Black is not—the character will definitely appear, but McConaughey is not yet locked in for the show, so it could be played by another actor. A map featuring locations from the series—as well as a quote from Wizard and Glass—given to King by MRC to celebrate the show’s reveal. 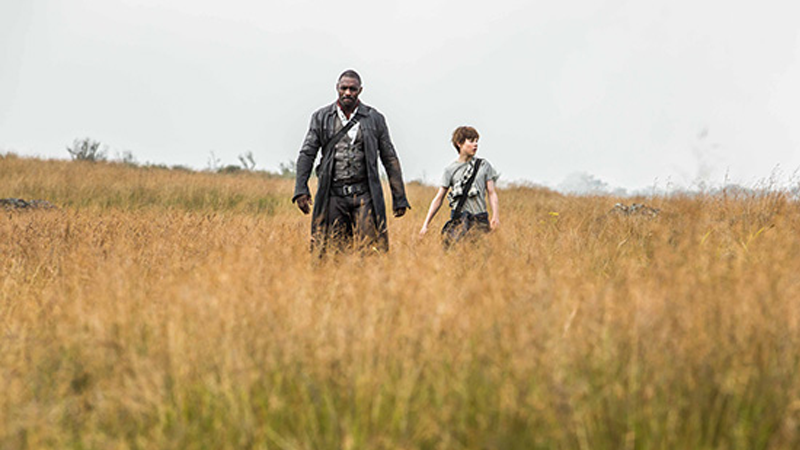 Other details about the series are sparse, but Dark Tower director Nikolaj Arcel and his co-writer Anders Thomas Jensen are both contributing scripts to the TV series, which is planned to run for 10 to 13 episodes. No cable network or streaming service has acquired the series yet, but the plan is to produce the show first, and focus on finding someone to air it later. We’ll bring you more on the series as we know it, but for now, you can expect the Dark Tower TV show to air sometime in 2018, timed with the home release of next year’s movie.